Over a three-day period last week, the State Department announced Morgan Ortagus as its new spokesperson, a role previously occupied by Heather Nauert; President Donald Trump said he wanted Herman Cain to fill a seat on the Federal Reserve Board, with Stephen Moore already nominated for a second vacancy; and Politico reported that Treasury Department spokesperson Tony Sayegh is resigning next month and could be replaced by Monica Crowley. 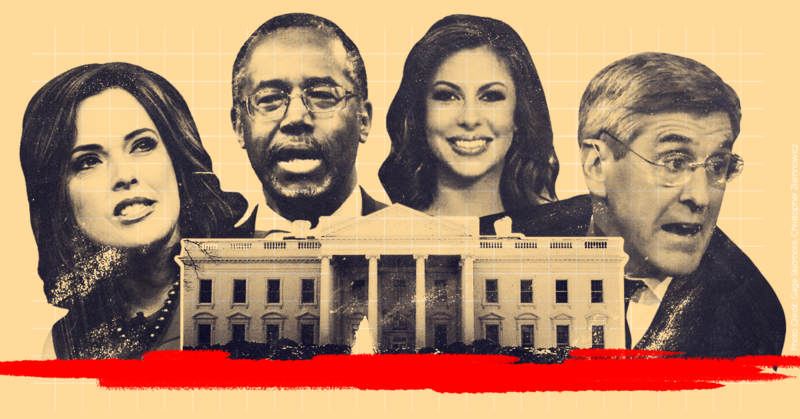 Ortagus, Nauert, Cain, Moore, Sayegh, and Crowley have something in common: Each has worked for Fox News, the right-wing cable network that has merged with Trump’s White House and now serves as a Trump propaganda outlet. Trump has stocked his administration with former Fox employees. Cabinet secretaries overseeing federal departments, senior White House aides advising the president on crucial issues, and U.S. ambassadors representing the country abroad, among others, all worked for the network before joining Trump’s administration. Ten current Trump administration officials previously worked at Fox, while six more officials worked at Fox before joining the administration but have since left, and the appointments of two other former Foxers are pending, according to a Media Matters review. Those are just the ones who actually made the jump to the Trump administration -- several other Fox employees have been connected to various Trump administration jobs but have not received them, while Crowley had been announced for a White House position but withdrew following a plagiarism scandal. And the door opens both ways. After leaving her post as White House communications director, Hope Hicks became executive vice president and chief communications officer for Fox’s parent company. Fox also hired former Trump deputy campaign manager David Bossie and former acting ICE Director Tom Homan for on-air roles, each of whom has since been floated for senior administration roles. This hiring pattern speaks in part to Fox’s longtime role as a comfortable landing spot for Republicans looking to get paid and build their brand with the network’s conservative audience while keeping their options open to return to politics or government. But the trend is also part Trump’s unprecedented relationship with Fox. The president’s worldview is shaped by the hours of Fox programming he watches each day, with both his public statements and his major decisions often coming in response to what he sees. And so throughout his tenure in the White House, the president has treated Fox employment as an important credential and offered jobs to network employees whose commentary he likes. Outside the administration, Trump hired Jay Sekulow to join his legal team because the president liked the way Sekulow defended him on Fox, and he nearly added the similarly credentialed Joseph diGenova and Victoria Toensing to the group as well. Then there’s Kimberly Guilfoyle, who left her job co-hosting a Fox show and became the vice chairwoman of a pro-Trump super PAC the next week (she is also dating Donald Trump Jr.). In addition to the former Fox employees that have moved to the administration or Trumpworld payrolls, Trump also consults with a “Fox News Cabinet” of current network employees. He reportedly speaks frequently with Fox founder Rupert Murdoch, whose media empire has benefited greatly from the network’s fusion with the Trump administration. And Fox hosts including Sean Hannity, Lou Dobbs, Jeanine Pirro, and Pete Hegseth all reportedly influence Trump not only through their programs, but advise him privately as well. This post will be updated as additional former Fox employees join, leave, or are nominated to positions in the Trump administration. Ben Carson, secretary of housing and urban development. Carson, formerly a prominent neurosurgeon, became a right-wing media sensation after using a February 2013 speech in front of President Barack Obama to trumpet conservative economics and health care arguments. He joined Fox News as a contributor in October 2013 and left just over a year later to run for president. After Trump’s election, Carson joined his administration as the secretary of housing and urban development. His tenure has been dogged by scandals involving lavish spending for office furniture and other ethics issues, as well as a general failure to carry out his department’s mission. Elaine Chao, secretary of transportation. After a career in the public, private, and nonprofit sectors capped by serving as labor secretary in President George W. Bush’s Cabinet, Chao became a Fox News contributor. She left the network in 2012 and took a seat on the board of directors of News Corp., at the time Fox’s parent company. In 2016, she stepped down from the board after Trump nominated her as secretary of transportation. Chao is married to Senate Majority Leader Mitch McConnell (R-KY); former Fox News contributor Erick Erickson has alleged that he was taken off the air because of his criticism of McConnell at Chao’s behest. John Bolton, national security adviser. Long recognized as one of the most hawkish members of the foreign policy community, Bolton served in the Bush State Department and as ambassador to the United Nations. He joined Fox as a contributor in 2006 and became the network’s go-to voice for national security stories for the next decade, using the platform to push for military options in North Korea and Iran. Those appearances caught the attention of Trump, who said during a 2015 interview, “I watch the shows” for military advice, and that he liked Bolton because “he’s a tough cookie, knows what he’s talking about.” In March 2018, Trump named Bolton as his national security adviser. Mercedes Schlapp, White House director of strategic communications. Before joining the White House in September 2017, Schlapp was a Republican political consultant and a Fox News contributor. Scott Brown, ambassador to New Zealand and Samoa. Glowing Fox News coverage helped power Brown to victory in his 2010 run for the U.S. Senate in Massachusetts. After losing his reelection bid two years later, he joined the network as a contributor, using it as a platform to burnish his profile over the next year while exploring a run for Senate in New Hampshire. He left the network, lost that 2014 race despite the network’s efforts to promote him, and was rehired two weeks later. After Brown endorsed Trump in February 2016, Fox hosts began promoting him for the vice president slot. In August 2016, former Fox host Andrea Tantaros named him in the sexual harassment lawsuit she filed against Fox and several network executives. Trump nonetheless nominated Brown to be ambassador to New Zealand and Samoa in April 2017, and he was confirmed that June. He subsequently faced a State Department inquiry after making inappropriate comments to a female server at an official event. Georgette Mosbacher, ambassador to Poland. Mosbacher, a Republican businesswoman and donor, longtime Trump friend, and a Fox News contributor, was nominated to be ambassador to Poland in February 2018 and confirmed by the Senate that July. 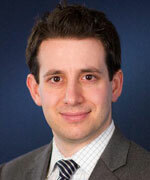 Tony Sayegh, Treasury Department assistant secretary for public affairs. Sayegh, a former Republican communications consultant and Fox contributor, has served as the top spokesperson for the Treasury Department since April 2017. Morgan Ortagus, State Department spokesperson. After working in the Bush and Obama administrations, Ortagus became a Fox contributor, then was named State Department spokesperson in April. Lea Gabrielle, State Department special envoy. In February, the State Department named Gabrielle, a former Fox News reporter, as special envoy and coordinator of the State Department’s Global Engagement Center, an agency that counters foreign propaganda and disinformation. Bill Shine, White House communications director. Shine, a close friend of Hannity’s who once produced his show, rose through the executive ranks at Fox News, eventually becoming network founder Roger Ailes’ right-hand man and then Fox co-president. Shine resigned from Fox in May 2017 after his reported role helping to cover up the network’s culture of sexual harassment became too embarrassing, but he landed a plum White House job as assistant to the president and deputy chief of staff for communications. Shine left the White House for a role on Trump’s reelection campaign in March 2019. His exit reportedly came in part because Trump “feels he was sold a bill of goods by Hannity,” who had urged the president to hire Shine to improve his press coverage. Anthony Scaramucci, White House communications director. Scaramucci, a hedge fund mogul and a former Fox Business contributor and host, spent 10 days as White House communications director before his proclivity for giving expletive-laced interviews and publicly feuding with other White House staffers triggered his removal. K.T. McFarland, deputy national security adviser. After serving in the Nixon, Ford, and Reagan administrations and losing a race against then-Sen. Hillary Clinton (D-NY), McFarland became a Fox national security analyst. She used that position to push for war with Iran, defend the use of torture, and push for the profiling of Muslim Americans. In November 2016, Trump picked her to be deputy national security adviser under Michael Flynn. She served only briefly in that position. Flynn was replaced by H.R. McMaster in February 2017 following the revelation that Flynn had lied to the FBI and Vice President Mike Pence about whether he had discussed sanctions with the Russian ambassador during the presidential transition. McFarland was subsequently offered other opportunities in the administration and nominated to be U.S. ambassador to Singapore, but the nomination stalled over her connection to the Russia investigations -- she had reportedly been in contact with Flynn during his conversations with the Russian ambassador -- and she withdrew in February 2018. Sebastian Gorka, deputy assistant to the president. A bombastic, self-proclaimed national security “expert” with dubious credentials, a proclivity for anti-Muslim conspiracy theories, and ties to foreign extremist groups, Gorka made frequent appearances on Fox News during the 2016 presidential campaign and was briefly hired by the network before decamping for the Trump White House. His job was ill-defined, and he apparently did little other than go on television to support the president before he was canned in August 2017. He then returned to Fox News as a full-fledged contributor, albeit one who was reportedly banned from appearing on the network’s “hard news” programming. In March, he left Fox for Sinclair Broadcast Group, whose stations now broadcast his bigotry around the country. Herman Cain, Federal Reserve Board member. Best known as the former president and CEO of Godfather’s Pizza, Cain ran for the Republican presidential nomination in 2012 on the “9-9-9 plan” -- a proposal for replacing all current federal taxes with a 9% income tax, a 9% sales tax, and a 9% corporate tax. His campaign imploded after several women reported him for sexual misconduct, but Fox nonetheless hired him as a contributor in 2013. Cain spent the subsequent years sending scammy financial emails to his mailing list, including promoting now-worthless penny stocks. Trump said last week that Cain was his choice to fill a second vacancy on the Federal Reserve Board, but he is reportedly still being vetted before a formal nomination.